With over 24,000 species, the sunflower family is the largest plant family on earth and represents roughly 10% of all flowering plants. It includes profitable crops such as sunflowers, lettuce and artichokes, beautiful wildflowers and valuable medicinals. Common allergens, like ragweed and goldenrod, and costly invasive weeds, like thistles and dandelions, are also members of the sunflower family. But despite the wide diversity and economic importance of the plants in the sunflower family, researchers have not yet determined the genome sequence for a single species within the family. The lack of this basic information is a roadblock to future research and efforts to increase crop production or control noxious weeds. But getting all that genetic information isn’t easy; the complexity and size of the sunflower’s genome has been a major obstacle. With over 20,000 genes, the sunflower’s genome is slightly larger than the human genome, which cost over $3 billion to sequence using traditional genomic research technologies. Recent advances now make it less expensive and more practical to sequence large genomes. The scientists working on the Genomics of Sunflower project will use new technologies, together with more conventional methods, to obtain the genome sequence of the sunflower. This information will open doors to future research, such as finding ways to increase production of commercially-important crops, control noxious weeds, and develop new biofuels. Just like people have specific genes that control eye and hair colour, plants have genes that control specific characteristics. For example, some genes of plants in the sunflower family are linked to important crop characteristics, like seed oil yield and flowering time, but we don’t yet understand which genes control which characteristics. The genome of a species is the entire set of genes in that species. If scientists knew the genome of the sunflower, for instance, we would be able to start linking certain parts of the genome with certain traits. Having this genomic blueprint will facilitate scientific research across the diverse sunflower plant family, with applications ranging from crop improvement to weed control to the development of wood-producing sunflower varieties. For example, it will allow researchers to link genetic information to important crop characteristics like seed oil yield and flowering time. A second application resulting from this project will be the development of sunflowers as a new biofuel source. The biofuel development will focus on wood-producing types of two extremely drought tolerant, desert-dwelling wild species: the Silverleaf sunflower and Algodones dune sunflower. This will allow farmers to grow small, woody plants (a source of biofuel) in a single year while simultaneously using the sunflower seeds for edible oil. Such a dual-use crop has great economic potential. The genomic information collected during this project will therefore serve many purposes. It will facilitate scientific research across the diverse sunflower plant family and potentially have great economic impact through improving crop yields and increasing seed oil production. 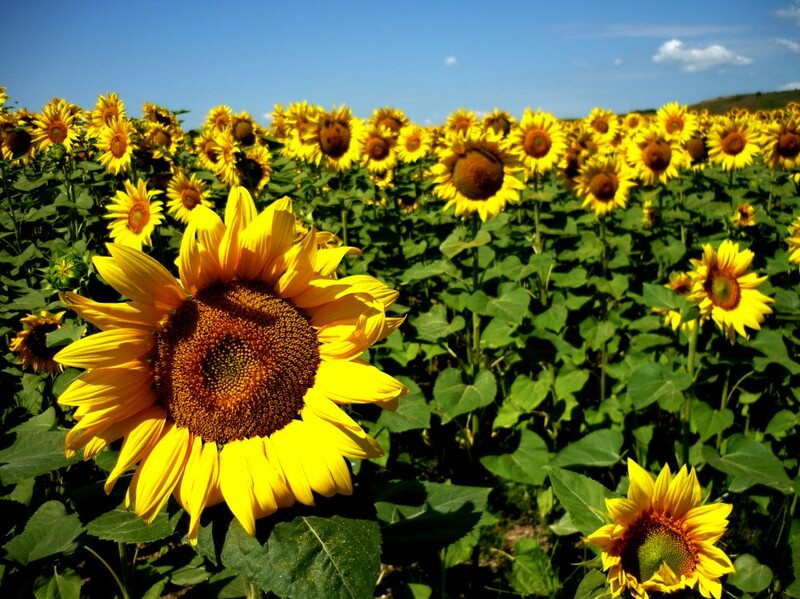 In addition, unlike other biofuels like corn that are also sources of food for many people, the possibility of using sunflower family plants is important because it uses a plant for fuel that is already being grown for its seed. So the next time you use sunflower oil, keep in mind the mystery that surrounds such a common food product that is used every day and the unique challenges that Genomics of Sunflower researchers are working to overcome.